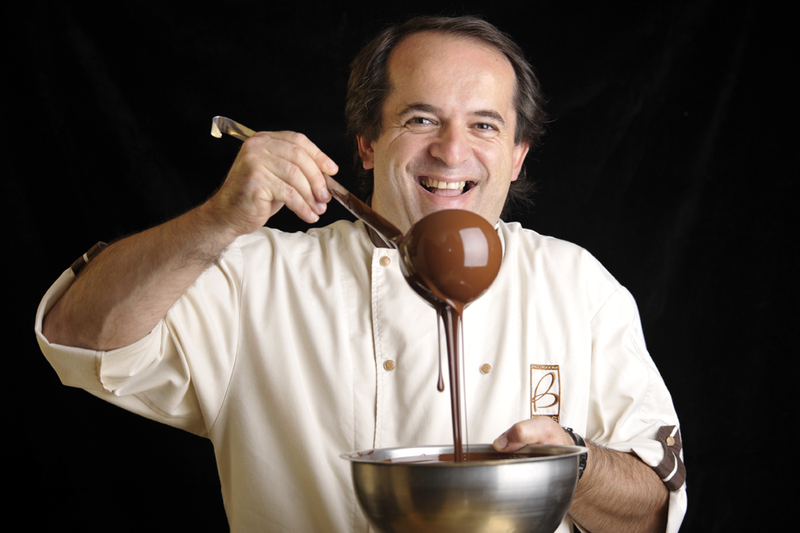 The name Buosi is synonymous with the production of high-quality patisserie and chocolate. The success of the company dates right back to 1958, when Ermes Buosi opened a small shop selling sweets and pastries. A few years later, together with his wife, Rosi, and two colleagues, he transformed the business into a workshop producing a range of home-made ice-creams and patisserie. In 1965, the couple’s son, Denis, was born in Tradate. From early childhood, he drew inspiration from the dedication and enthusiasm of his parents, and went on to study the art of patisserie at a specialist school. In the early 1980s, he decided to join the family business, and soon began to work full-time on the production side. It was during this time that Denis began to be drawn into the world of chocolate, an area in which he showed a particular interest, and began to specialise in the creation of chocolate-based confectionery and pastries. He became increasingly fascinated by this wonderful substance, and entered some of his splendid creations in both Italian and international competitions, winning some top prizes and achieving considerable praise and recognition. His interest in exploring new ways of creating and presenting products, and a desire to research the latest production methods, led him to attend further training courses in some of the top Italian and European schools. Armed with this new knowledge and a mastery of innovative techniques, he could now express himself to the full in his own patisserie workshop. The success of the company today has its roots in the passion and dedication of Denis Buosi. Denis Buosi is now the driving force behind a diversified business which includes two shops at Varese and Venegono Superiore, and a workshop and school of cookery and patisserie (the Buosi Academy) at Vedano Olona. His great interest in research combined with an expertise in marketing confectionary products have made Denis into a very wide-ranging consultant. He loves to create new trends and rethink methods of presentation, without ever overlooking quality in the raw materials, and fully conserving the natural characteristics of the ingredients used. In addition to the wide range of products he makes for his own shops, he also designs and creates original chocolate gift items for companies, used to promote some very famous brands. In addition, he supplies high-quality pralines to some of the top fashion houses and leading names in the world of gastronomy.